Union Public Services Commission (UPSC) has announced the results of Engineering Services Examination 2019 Prelims (ESE 2019 Prelims) exam. 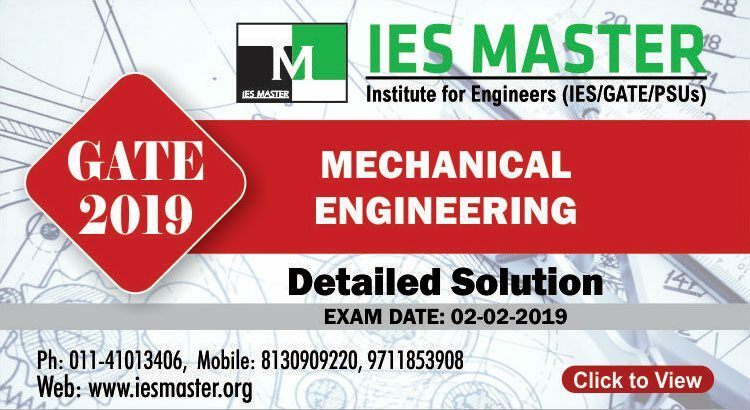 The ESE 2019 Prelims exam was conducted by UPSC on 06 January, 2019. 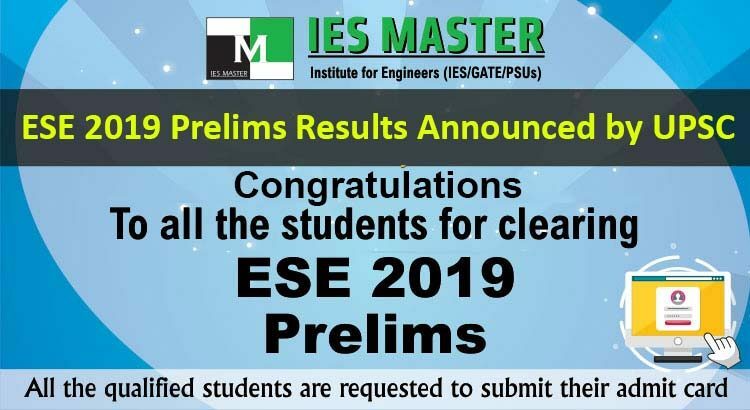 A total of 4,048 candidates have qualified the ESE 2019 Preliminary stage. Of which almost half of the candidates are from CE branch (1,825). With 795 qualified candidates, ME stream candidates stand at the second position followed by E&T candidates (748), and EE candidates (680). All the ESE 2019 Prelims qualified candidates will now have to appear in the ESE 2019 Mains exam that is scheduled to be held on 30 June, 2019. Indian Railways, which is one of the largest employers in India, is going to conduct its recruitment drive to hire suitable candidates for various posts. 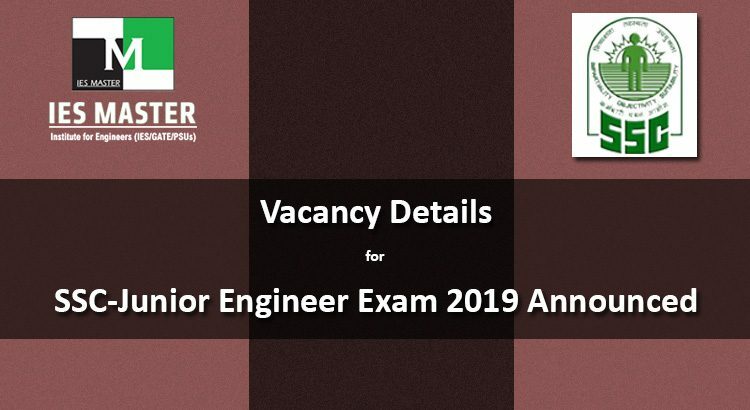 Of all the vacancies that have been advertised recently, the engineering domain is the one that stands prominently at the top with 13,487 vacancies of Junior Engineers (JE). The post of Railway Recruitment Board – Junior Engineer (RRB-JE) comes with an attractive pay package, not to mention the other facilities. 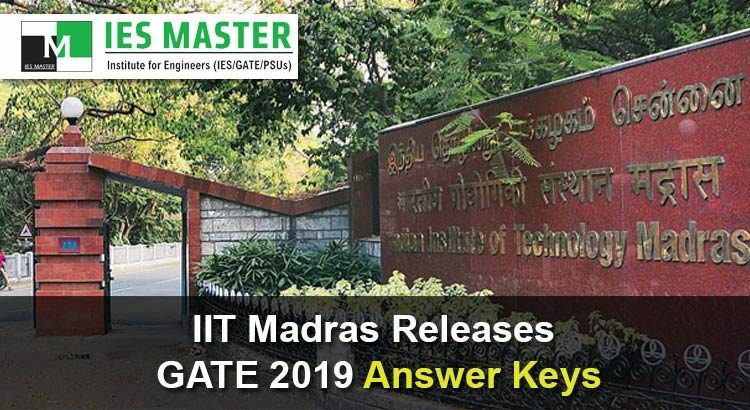 IIT Madras, the organizing body of GATE 2019, has released the GATE 2019 answer keys and question papers for the 24 papers that were conducted on 2, 3, 9 and 10 February 2019. 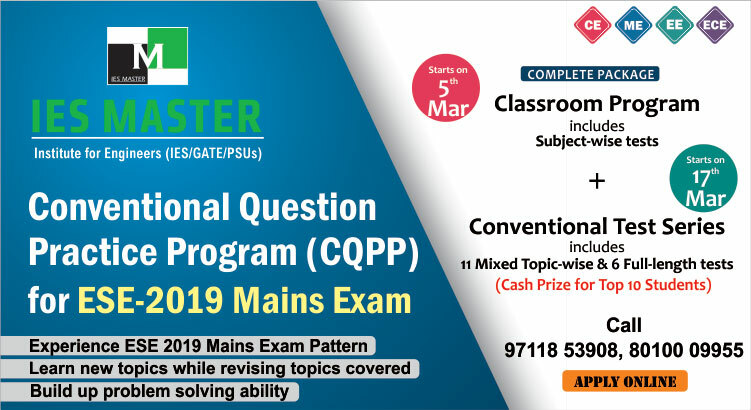 Here’s how the candidates, who appeared in the GATE 2019, can check the GATE 2019 answer key along with the question papers for their respective disciplines. The Staff Selection Commission (SSC) has announced the vacancy details for its ongoing recruitment drive of Junior Engineers (JE). 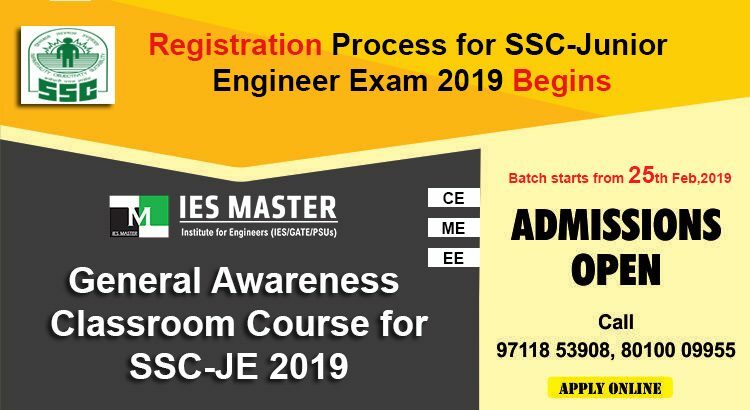 The online registration process for SSC-JE Exam 2019 begun on 01 February, 2019, and the last date for online application is 25 February, 2019. As per the official SSC-JE notification, the commission will be hiring a total of 1,627 junior engineers in Civil, Electrical, Mechanical, and Quantity Surveying and Contract trades through this recruitment drive. All the posts will come under Group B (Non-Gazetted), in Level- 6 (Rs. 35,400-1,12,400/-) of pay matrix of 7th Central Pay Commission. 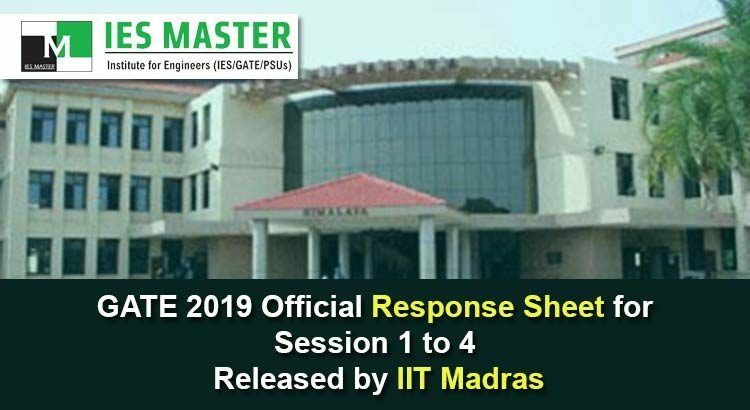 IIT Madras has released the GATE 2019 response sheet for candidates who appeared in the session 1, 2, 3 and 4 of GATE 2019 exam conducted on 2 and 3 February, 2019. For other sessions, the GATE 2019 response sheet will be released soon. 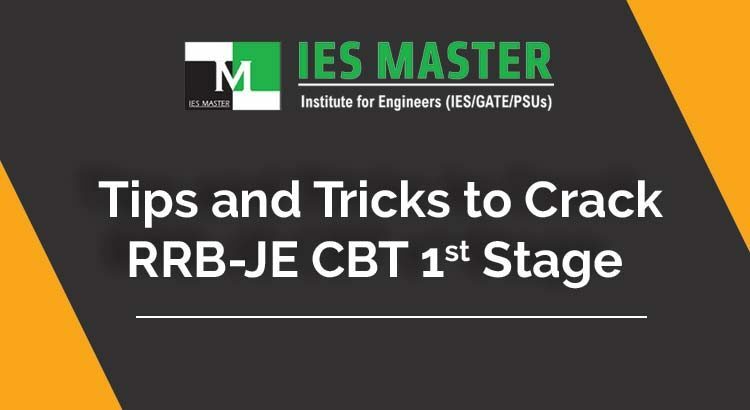 Once the response sheets of all the sessions are released, IIT Madras would release the question paper and official answer key of GATE 2019. 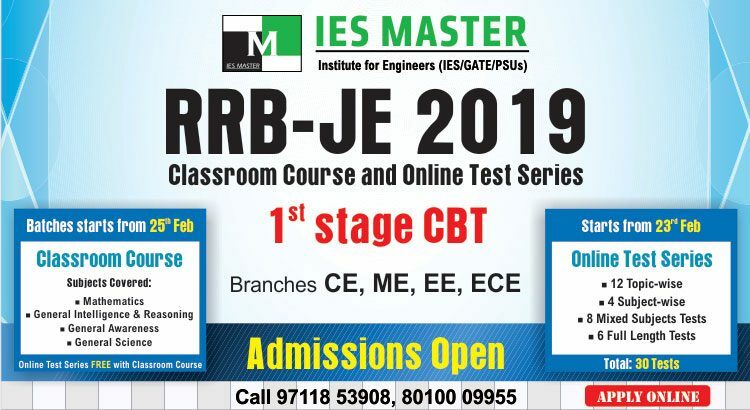 IIT Madras has released the GATE 2019 response sheet for candidates from ME branch, who appeared in the GATE 2019 exam conducted on February 2, 2019. As of now only GATE 2019 response sheet for ME students has been made available. For other streams, the GATE 2019 response sheet will be released soon after the remaining branches’ GATE 2019 is over. The release of response sheet would be followed by releasing of question paper and official answer key. The Railway Recruitment Board, also known as RRB in short, is an organisation of the Government of India. The organisation functions as a recruitment board to recruit suitable candidates to fill Group-C posts which are Supervisory posts in Indian Railways. In the Technical departments of Indian Railways like Engineering, Mechanical, Electrical, and Signal & Telecommunication, the Senior Section Engineers (SSE), Junior Engineers (JE) and Technicians come under Group-C. In the other departments, posts like Loco Pilots, Assistant Loco Pilots, Guards, Booking Clerks, Train Ticket Examiners, Chief Ticket Examiners, Assistant Station Master, Station Master, etc. come under this group. The grade pay of all the above posts range from Rs. 2,800 to Rs. 4,800. 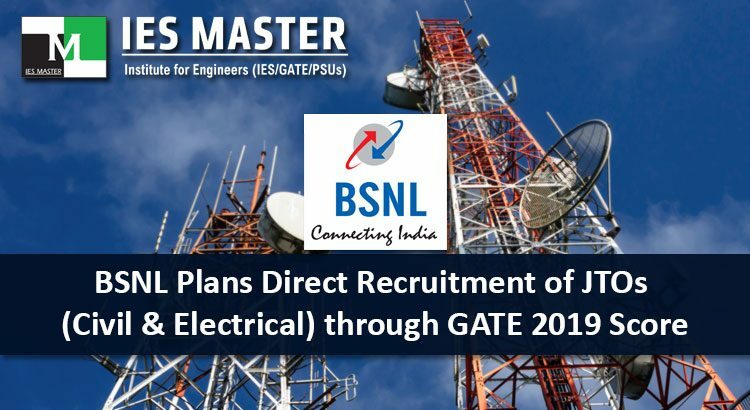 Bharat Sanchar Nigam Limited (BSNL) is planning direct recruitment of Junior Telecom Officers (JTOs) from Civil and Electrical engineering streams. This recruitment drive is meant specially for SC, ST, and OBC candidates. 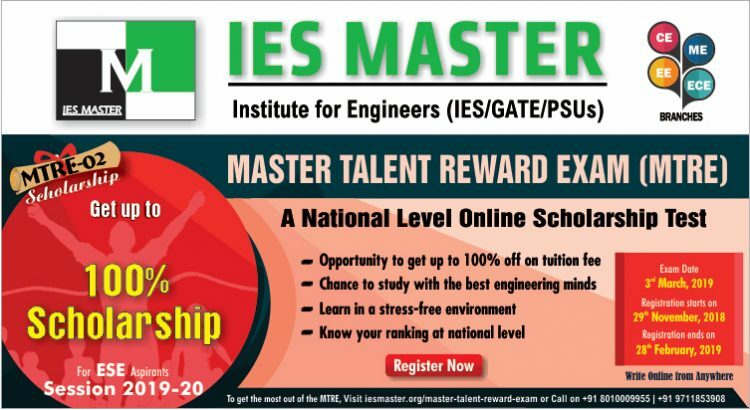 The eligibility criteria would be valid GATE 2019 score. The candidates who have written the GATE 2019, and wish to apply for the post can submit their online application by visiting the official website of BSNL.